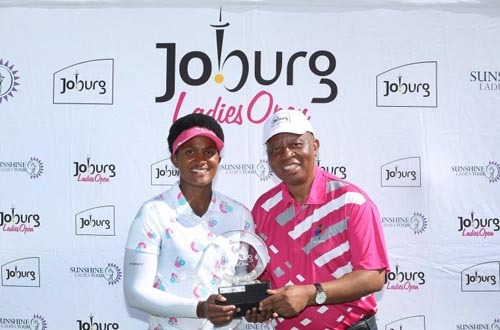 Nobuhle Dlamini moved one step closer to her maiden Sunshine Ladies Tour victory with a second round one-under 69 to lead by a shot from Melissa Eaton at the R400 000 SuperSport Ladies Challenge, presented by Sun International, on Thursday. 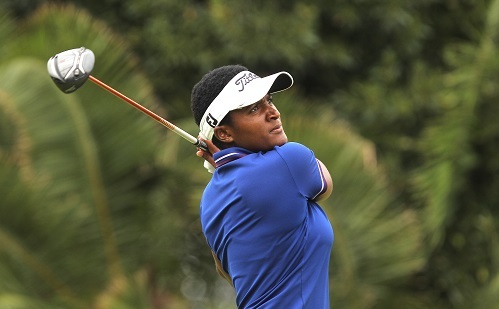 Dlamini followed her brilliant opening round of six-under 64 at the Wild Coast Sun Country Club with a more subdued 18 holes on day two to get to seven-under overall, but a 69 did her quest to grab her breakthrough win no harm at all. Sunshine Ladies Tour debutant Jessica Karlsson from Sweden carded a second round 67 to rise to five-under overall, with Lora Assad a further two strokes back after an even-par 70. The difference in Dlamini’s scores over the two days was down to her putting. “It was another solid round, but I just didn’t score very well,” Dlamini said. “I hit the ball really well. I didn’t putt like I did in the first round, but I’m still happy with a 69. I could have made more putts. My course management was good as well. Eaton from Port Shepstone aimed to use her home-ground advantage in round three. “I just feel at home here, with the scorers and volunteers; it’s a really good feeling. I know a lot of people are pulling for me,” said Eaton. Eaton had one spectacular par-save during her round at the par three 11th. She was forced to stand in the middle of a bush to take her stance and was able to take a swing at it, and proceeded to bang in the putt from around 10 feet for par. Despite a moderate first round, Eaton said she feels she is close to recording a really good score. As for her approach on Friday with the title on the line, Eaton said the confidence gained from a top joint second place finish in the SA Women’s Masters would serve her well. Investec Property Fund Order of Merit leader Stacy Bregman ground out a two-over 72 to go with her opening 73. 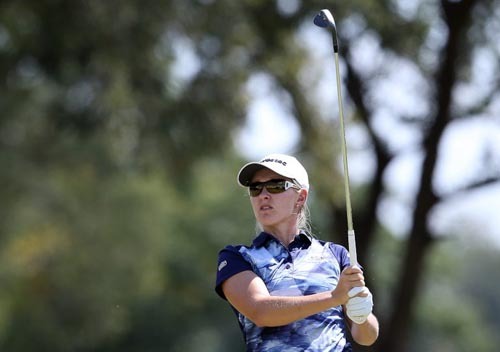 The Canon Ladies Tshwane Open champion finished on five-over in a tie for 24th and made the cut by two.